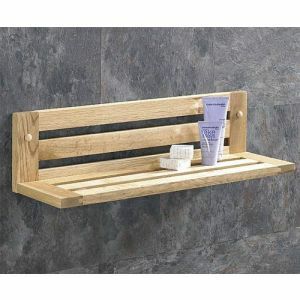 If space is at a premium in your bathroom and you’re looking for a practical solution, why not try this solid oak bathroom shelf? 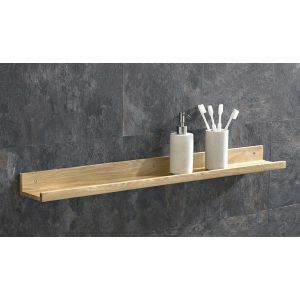 Whether it’s mounted below your mirror or above your sink or bath, this solid oak shelf offers lots of storage space for bathroom essentials like soap and towels. This shelf has been treated with a durable, clear lacquer – it has been hand waxed for s silky, durable finish. This solid oak shelf matches the rest of the solid oak furniture that we have in stock here at Clickbasin – so be sure to check it out whilst you’re online! This 45cm long solid oak shelf for bathrooms is supplied with the necessary wall fixings – so it’s just a case of finding someone to put it once it arrives. Grab a great deal on a practical solution if your bathroom is a little limited in terms of storage space. 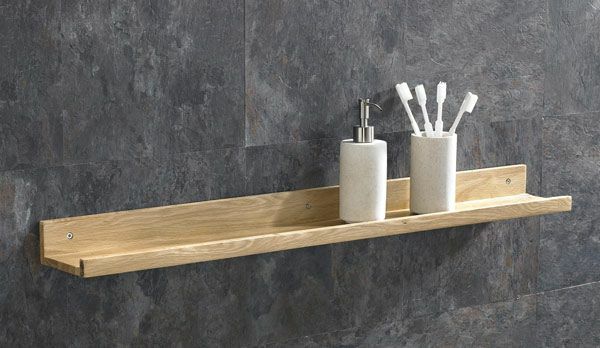 This solid oak bathroom shelf will not leave you feeling disappointed!